Let's get some of the more mundane additions out of the way. 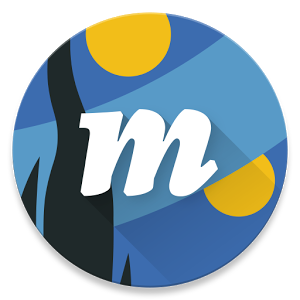 Muzei now supports Marshmallow's runtime permissions and it has been extremely optimized for reliability and memory usage. Moving on, one of the hallmarks of Muzei was that you could set your own photos as scrolling wallpapers, but you had to add them each individually. Now you can add entire folders, thanks to the ACTION_OPEN_DOCUMENT_TREE present in the storage access framework — which only supports Lollipop and above. Nougat added support for apps to create custom quick tiles and Muzei is taking advantage of that. With a quick tap, you can easily switch to the next piece of artwork in the queue. In a similar vein, you can also add an "Artwork Info" app shortcut to your homescreen (as long as you're on Nougat 7.1). Direct Boot, which allows apps to run before the device is unlocked, is now supported. That means you can have your awesome wallpaper start immediately on boot. Finally, you will now be able to view past artworks via the DocumentsProvider. This will give you a history that is searchable by date or source. Another benefit of this addition is that it is easier to share your favorite pieces through any app that uses standard photo selection intents. The v2.3 update should be live for everyone in the Play Store.